Technology is playing an important role in so many aspects of our lives and now it is there for our dogs and puppies as well. This infographic from GAP takes you through some of the best mobile apps available for Android smartphones and tablets and iOS powered iPhone, iPad, and iPod touch to help train your dog or your puppy, take care of your dog’s health, and even apps for when you’re travelling with your pet. For example, apps like iClicker can be very useful when training your dog. It plays sounds like a doorbell to reinforce certain behaviors which are going to make training your dog so much easier. People seem to find it useful if the good reviews are anything to go by. All dogs and puppies need a good walk every day and sometimes it can be difficult to find a good route. The ‘MapMyDogWalk’ app recommends the best dog walking routes in your area. You can also add your own route if you find a really good one! Another difficult situation for your dog is when you go on vacation. If you decide not to bring your pooch along with you often have to put them in a kennel. While of course kennels can be a fantastic option, apps like Dogvacay give you choice to put your dog in a proper house while you’re away. 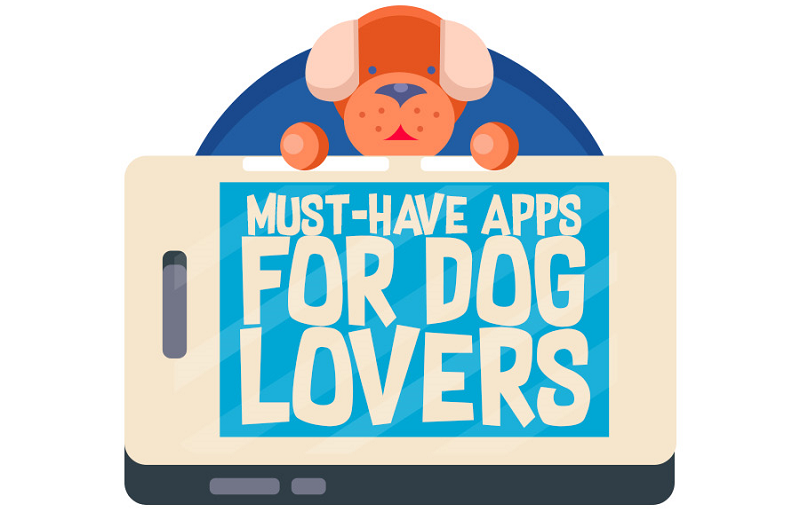 If you do decide to bring your pooch on holiday there are some very good apps to assist you. For example, BarkHappy gives you information on dog-friendly parks, restaurants, and accommodation in whatever city you’re visiting. The Pet First Aid (Red Cross) app is always handy but it is particularly good to have it when you’re traveling in case anything goes wrong. It has a wealth of health information at the tap of a button. One of the most important factors in any dog’s life is their health and we all want them to live a long and happy life. An app called ‘Dog Health’ can help you to keep on top of things. It lets you keep a record of your dog’s personal health data all in one place. The best thing to do is download a few of them to see if you like them. It can be hard to get an idea of what they’re like just by reading about them. Based on the reviews, people seem to be finding them useful so hopefully, you will find something to help your dog and puppy. Find out about all the apps and where they’re available in the following infographic developed by team "GAP NSW".